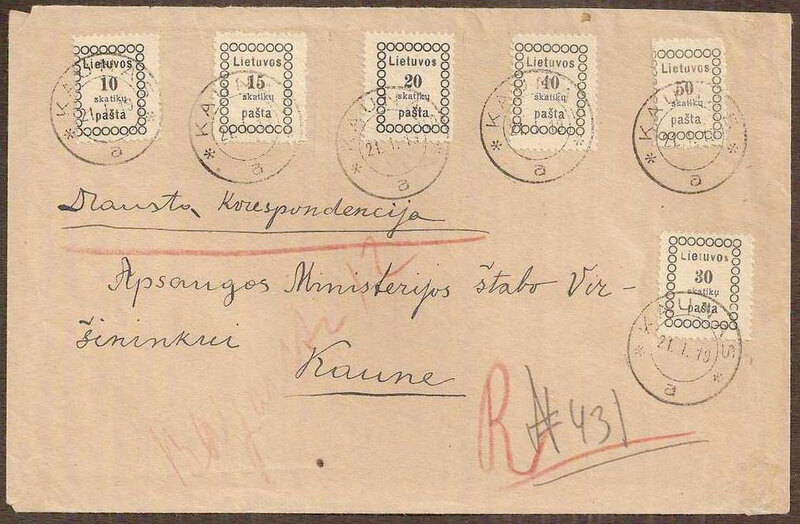 Superb Registered Mail cover with the complete set of Second Vilnius issue, Lithuania #3-8, all with full perfs !! The #6 (30sk) is also the very rare variety of inverted “n” for “ų” (found only in sheet position 9) and #4, 7 and 8 (15sk, 40sk, 50sk) are the variety of inverted “h” for “ų”. 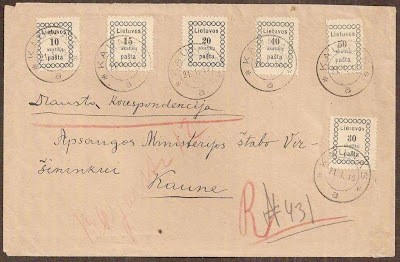 This Registered Mail cover is a wonderful example of postal history.